Bloomsbury USA Childrens, 9781619633513, 288pp. Sky and River have always lived on Island, the only world they've ever known. Until the day River spots a boat. 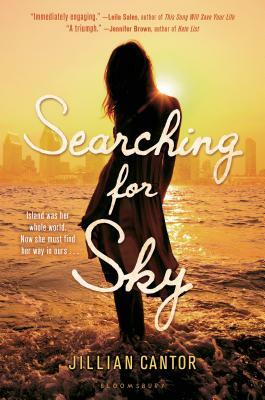 Across Ocean, in a place called California, Sky is separated from River and forced to live with a grandmother she's just met. Here the rules for survival are different. People rely on strange things like cars and cell phones. They keep secrets from one another. And without River, nothing makes sense. Sky yearns for her old life where she was strong and capable, not lost and confused. She must find River so they can return to Island, but the truth behind how they ended up there in the first place will come as the biggest shock of all. JILLIAN CANTOR is the author of several novels for teens and adults, including, most recently, Margot, a re-imagining of Anne Frank's sister in post-war America. Jillian lives in Arizona with her husband and two sons.